Please have a look at our Frequently Asked Questions and the User manual. 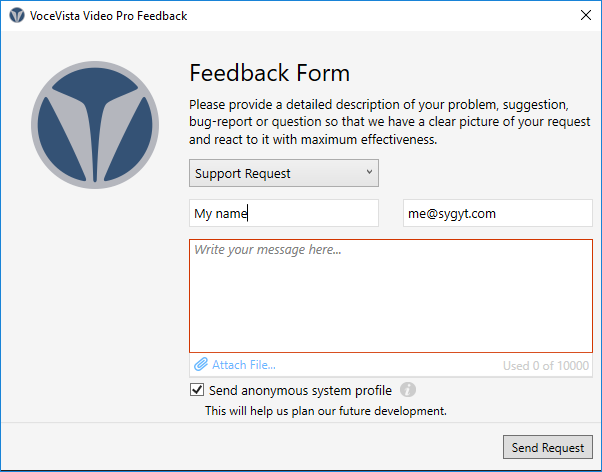 On the feedback form, please check the “Send anonymous system profile” option. This will send us a copy of your program settings and the log file of the most recent run. If the program is not starting at all on your computer, you can also contact us by email at support@sygyt.com. You can download a PDF Version of the User Manual here.